The researchers presented their findings at Living Machines 2017: The 6th International Conference on Biomimetic and Biohybrid Systems at Stanford University and later won second place in a student and faculty research competition at the international BIOMinnovate Challenge, in Paris, France – a research expo that showcases biologically-inspired design in engineering, medicine and architecture. 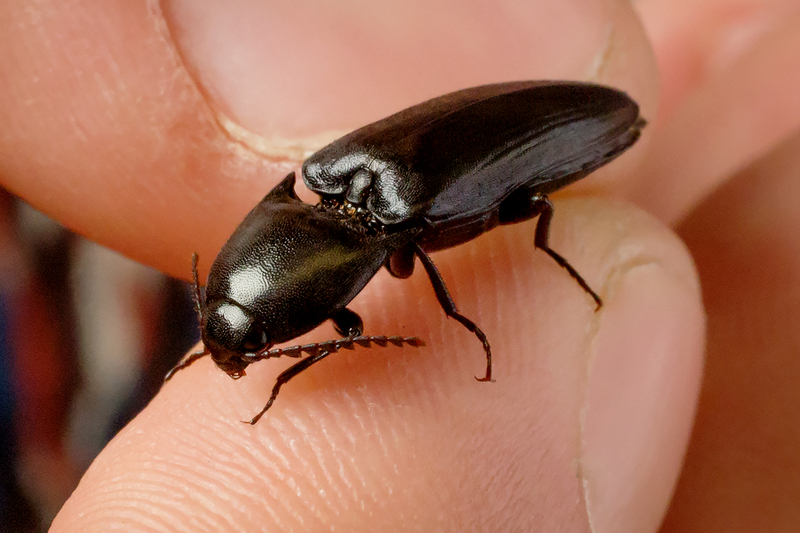 “This idea came to life when a group of insect physiology students decided to take a closer look at what makes click beetles jump as part of a class project,” said department of entomology research scientist and study co-author Marianne Alleyne. “Very little research had been performed on these beetles, and I thought this legless jumping mechanism would be a perfect candidate for further exploration in the field of bioinspiration,” said Alleyne, who teaches a bioinspiration design course with mechanical sciences and engineering professor, co-author and lead investigator Aimy Wissa. The researchers looked at several species of click beetles, ranging in size from a few just few millimeters to several centimeters in length. The group has already built several prototypes of a hinge-like, spring-loaded device that will eventually be incorporated into a robot, the researchers said.